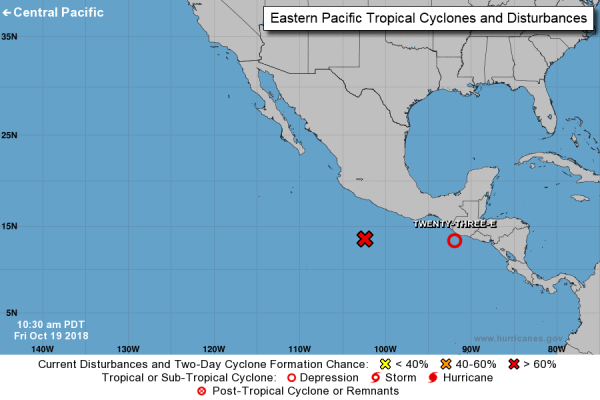 Oaxaca weather information, including 5-day forecast, yearly averages, and breaking weather news for Oaxaca. With Oaxaca weather the tropical climate predominates, its average annual temperature is 18 ° C. However, the rugged geography causes climate variations. For example, on the coast an average temperature of 27 ° C prevails, while in the Valley of Oaxaca the average temperature is 22 ° C. On the other hand, in the high regions of the mountains you can expect much colder temperatures. During the winter the nights are a little cold, it is recommended to use a jacket. In the summer months it rains during the afternoon and during the night, mainly in July and August, usually the rain lasts only a couple of hours after which the sun rises again and the air is much cleaner. From October to May they are generally the driest months.